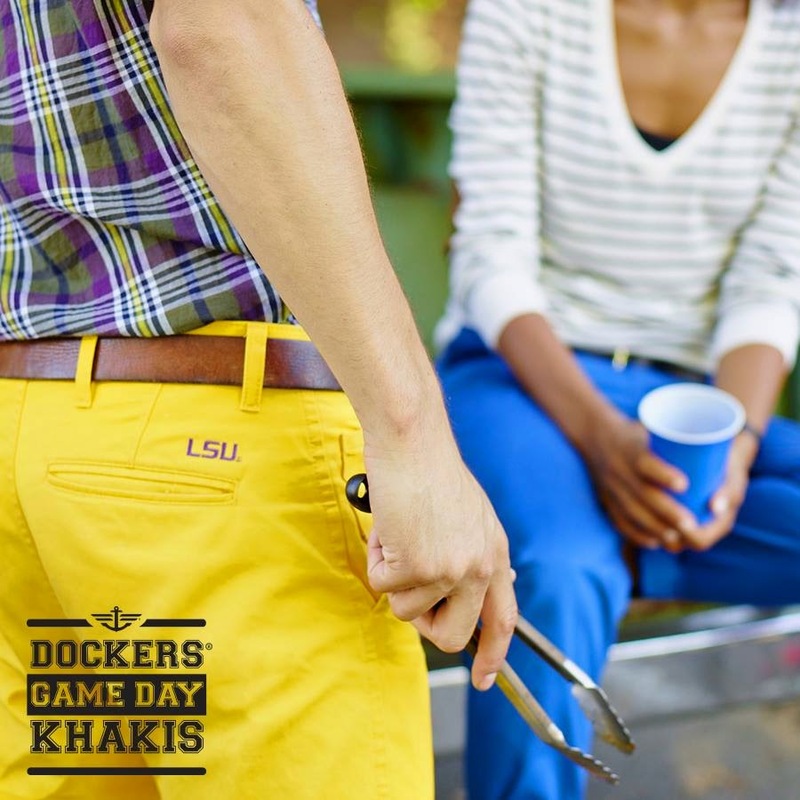 Gameday fashion is becoming more mainstream with the addition of these pants from the infamous Dockers brand. I predict that other major brands will follow in the coming years. Levis, maybe? 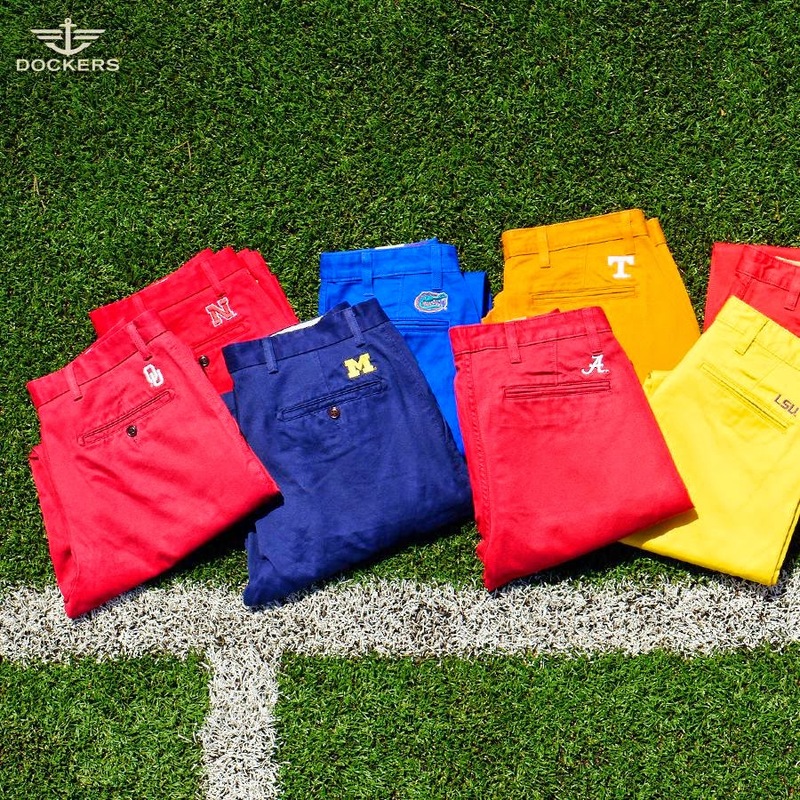 Tailgating and cheering for your team in a stylish manner are increasingly becoming more popular and as a result our options are expanding. 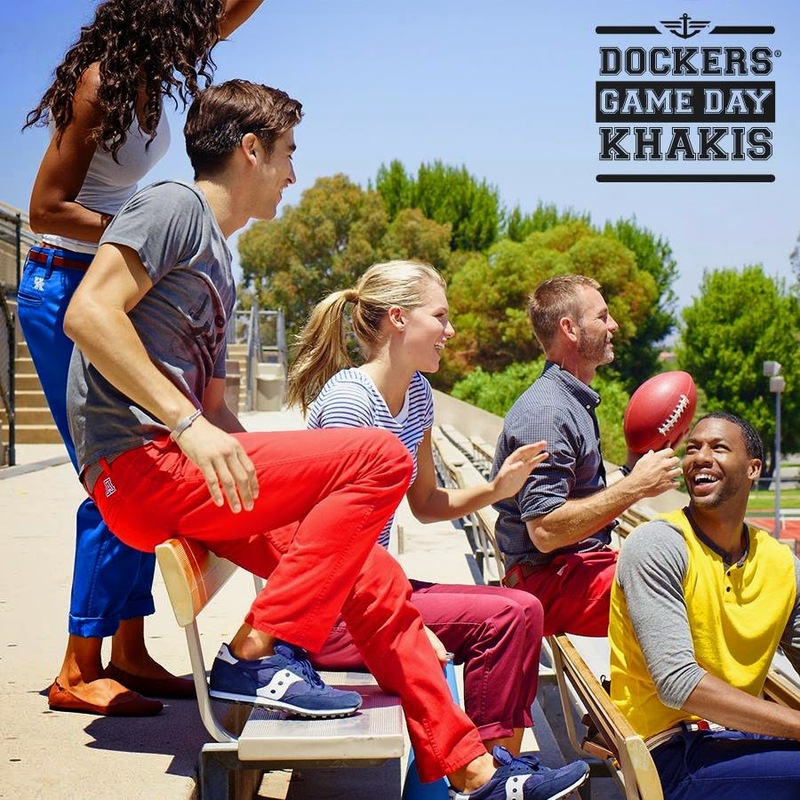 Dockers does not have a separate line for women. 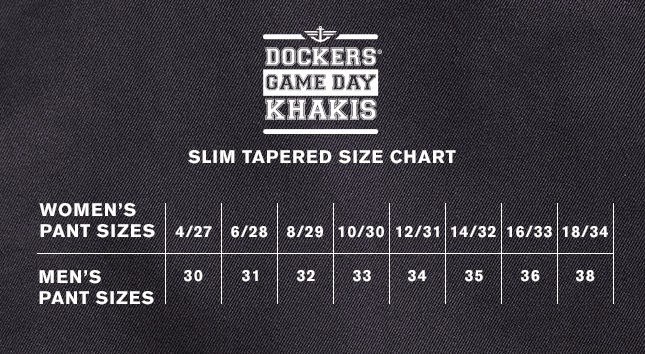 I find it funny that they provide the handy, dandy chart above for us girls in case we really wanted to wear the same pants as a our brothers, boyfriends and husbands. Do they not realize that we desire a way less boxy cut? Maybe I am not giving them enough credit with their tailoring. If anyone has tried these on, please let me know. Either way, I am glad for the options and I will definitely let my husband know about these.